The minute you start sewing or quilting, you start collecting little bits of leftover fabrics from various projects- fabric scraps that are just too pretty and precious to throw out. This week, I used some of my tiniest, most colorful fabric scraps to make some greeting cards. 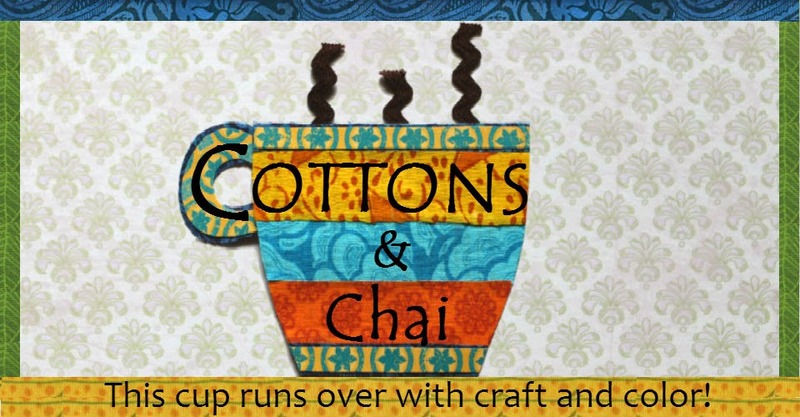 I enjoyed it so much that I then led a small card-making workshop for some of my quilter friends. There's nothing to it- just channel your inner preschooler and get busy. You need some blank note cards or greeting cards or card stock. Gather up fabric scraps (sorting them into different containers by color families- blue/green, red/yellow/orange, neutrals/black/white is helpful), basic crafting supplies (glue stick or white glue, scissors, pinking shears are nice, markers). I also got some stamps and stamp pads to add messages to the greeting cards. I found many ideas for these cards on various websites and blogs (credited in the captions), and others I made up as I went along. 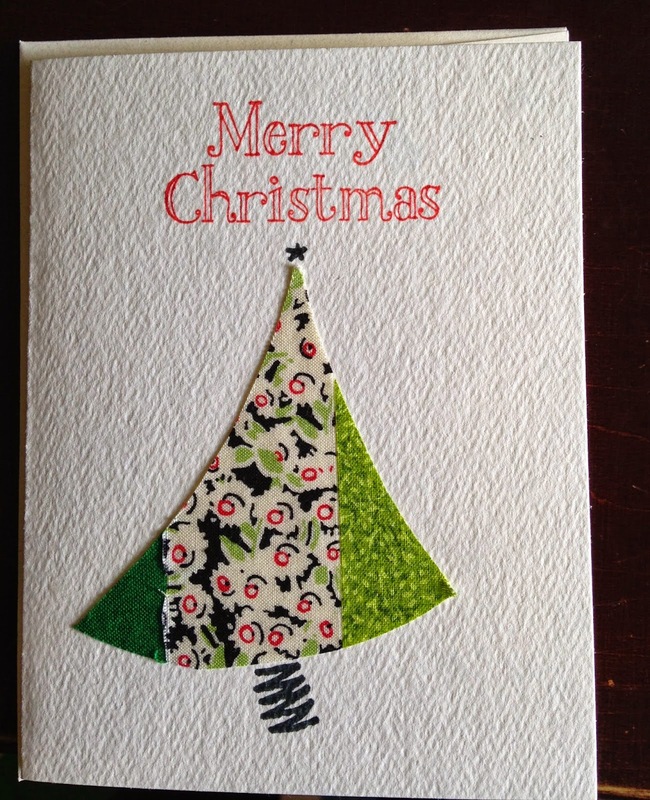 As you can see, we made Christmas cards and birthday cards and some general ones. I used Peel and Stick fusible to make this one. 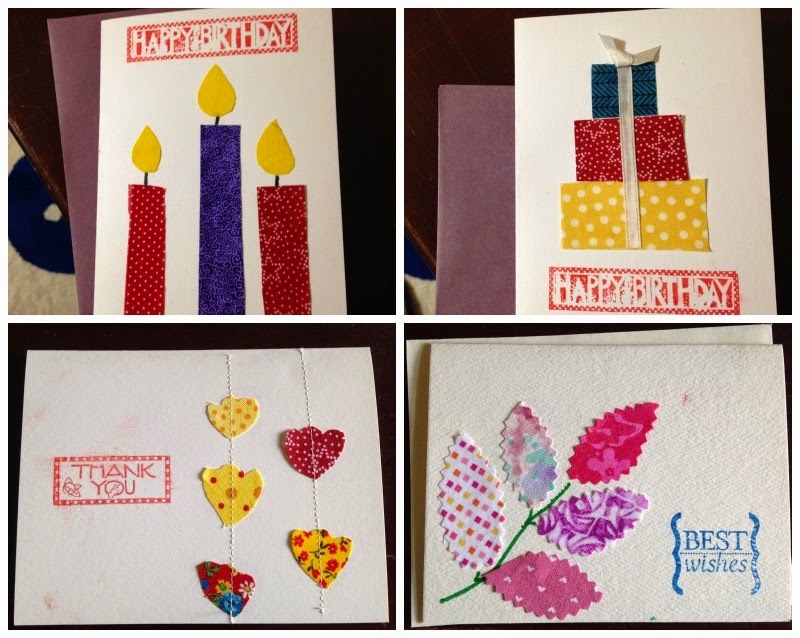 Card making is rather addictive and I think I will be making many more! I'm adding this project to the Under 10$, Under 1 hour Party over at 320 Sycamore. The actual cost was nothing, because I used crafting supplies that I had on hand and fabric scraps that were extras from other projects. 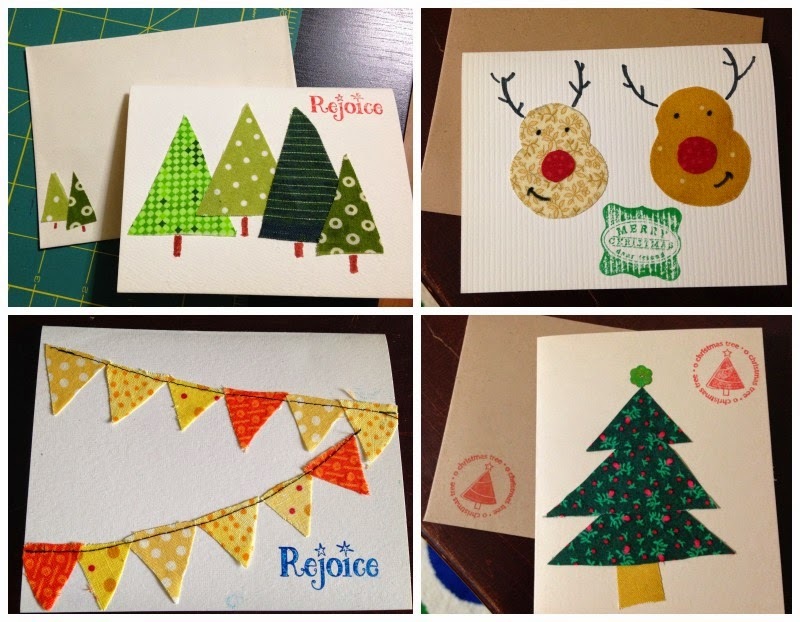 And you can make a dozen cards in an hour once you get started! 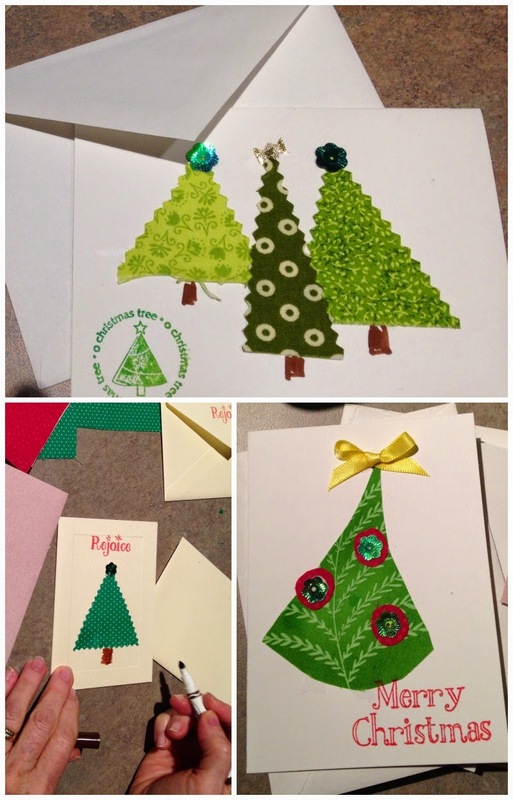 So cute -- I admire my friends like you that make cards! And how nice to have on hand. A Very Happy Diwali Bunting!